Every session gets your guests prints instantly. We use some of the fastest, highest quality printers on the market. When you book with us you get the complete package: props, an attendant, unlimited prints and an online digital gallery. We don't like hidden fees so you won't find any here! We provide an assortment of goofy and classy props for your guests to let loose and really express themselves! If you have a theme or are looking for something specific don't hesitate to ask we probably already have some on hand to match your event needs. Your booth will come with an attendant to mingle with guests waiting in line, keep the machine fed it's daily dose of ink and paper and ensure both guests and machines are having a wonderful event. We book based on time (3 hour, 4 hour etc) during that time we provide all the ink and paper you need to get infinite prints during your event so the more you and your guests use the booth the more you get! At the end of the event we provide you with a USB with all the digitals and then after the event we follow up with an email linking to your online gallery for easy sharing (or if you misplace your USB). 1. Unlimited Photos during rental. Take as many as you can—we dare you! 2. Premium, commercial quality photos that print in seconds (Instant gratification rules!). 3. We provide a master digital file of all photos for you, and a web gallery for your guests after the event (Delayed gratification is pretty cool, too). 4. 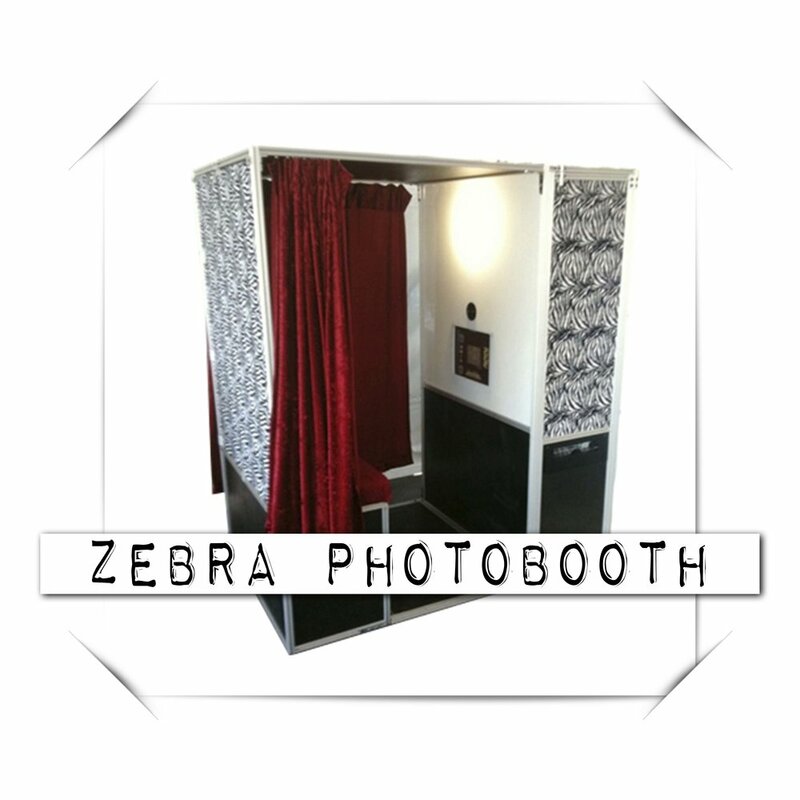 Your choice of either a 4×6 postcard-size print or a 2×6 photo strip (complimentary 2nd copy with 2×6 option) with customizable text & graphics to personalize the photo booth experience. 5. Stunning Color or Black & White photos, your guests choose. Why not one (or several) of each? 6. You can choose from the many different backdrops we own (but if you want boring, wrinkled curtains instead, I’m sure we can find some). Custom backdrop options also available. 7. Fun props to enhance the enjoyment. What says “fun” better than a pair of jumbo sunglasses? 8. Big and open. Enough room for large groups and creative possibilities. 9. Simple to use. These booths literally run themselves. Your guests will have no problem hopping in and figuring it out. 10. An on-site attendant, just in case they can’t. We’re there for your peace of mind and to add to the smiles.